Our martial arts programs in Fullerton & Placentia/Yorba Linda are designed to give children, teenagers and adults the very best martial arts experience possible. We believe it takes an extraordinary effort by extraordinary people to produce extraordinary results and we have helped thousands of Orange County children, teenagers and adults improve their physical, intellectual, emotional and social health. There is simply no better way for a child to build character, stay physically fit, improve their life skills and make new friends in a fun, stimulating and supportive environment than with our Kids Martial Arts Programs. 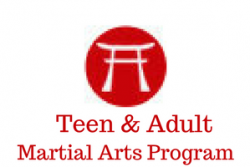 If you’re a teenager or adult looking to get in shape, lose weight or relieve some stress, but the thought of another monotonous gym workout makes you cringe, the solution is our Teen & Adult Martial Arts Program. Our program offers a full body workout that improves health and fitness by developing stamina, strength, flexibility and agility. Orange County’s Top Program for Kids 2-5 Yrs. 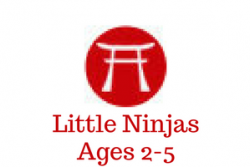 Old – Little Ninjas (Ages 2-5) is the top rated Martial Arts kids program in Orange County. Our experienced instructors will help your children enhance their motor skills, their ability to follow directions, and ability to socialize with other children. Parents and teachers have found that children in our Little Ninjas (Ages 2-5) program are better prepared than their peers when they enter preschool, kindergarten and first grade. Prepare your child for success at home, at school and in life. AMAA is extremely popular with parents & teachers because we emphasize the personal development of our students. 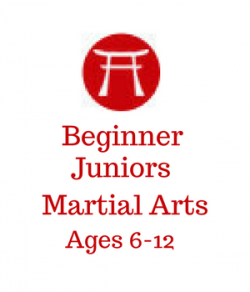 Our well-trained instructors have years of experience not just in martial arts, but also in child development. They use their knowledge to provide a safe and fun environment for your children to grow. At AMAA, your children will build character and learn values that will prepare them for school and life. As Beginner Juniors become more experienced, their training is taken to the next level. Instructors help advanced junior students master key areas needed to go on to live healthy and successful lives. While focusing on the goal of BLACK BELT, students will gain skills in key areas such as self-discipline, control, responsibility and respect. Parents and teachers of Junior Students have found them to be exemplary students and members of society. No More Boring Summer Camps for Kids! No More Forcing Kids to Go to Camps They Don’t Like! Tired of sending your kids to the same old boring summer camps? 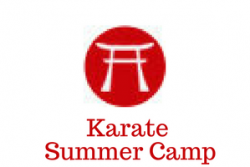 You and your kids can kick boredom to the curb by signing-up for our Karate Summer Camp. American Martial Arts Academy Karate Summer Camp is anything but boring. When was the last time you had to force a kid to have fun, play with friends or go on a field trip to the beach, a water park or play laser tag. 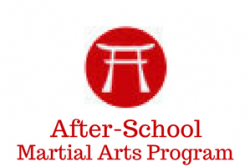 Fun, Exciting & Educational Alternative to Daycare – American Martial Arts Academy’s After-School Martial Arts Program offers parents a fun, exciting and educational alternative to daycare, extended care and standard after-school activities. Baseball, basketball and soccer are all great after-school activities, but they can’t compete with the features and benefits that our After-School Martial Arts Program offers parents and their children. A BLACK BELT is Not Something You Get, It is Something You Become! 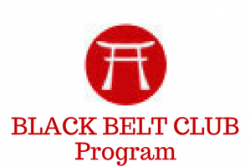 American Martial Arts Academy’s BLACK BELT CLUB is for students committed to the goal of BLACK BELT. The BLACK BELT CLUB is the inner core of the Dojo and represents what the Academy stands for, but Membership in the BLACK BELT CLUB does not guarantee a BLACK BELT; One Must Still Earn It! Great Alternative to Traditional Gym Workouts – If you’re a teenager or adult looking to get in shape, lose weight or relieve some stress, but the thought of another monotonous gym workout makes you cringe, the solution is our Teen & Adult Martial Arts Program. Our program offers a full body workout that improves health and fitness by developing stamina, strength, flexibility and agility.